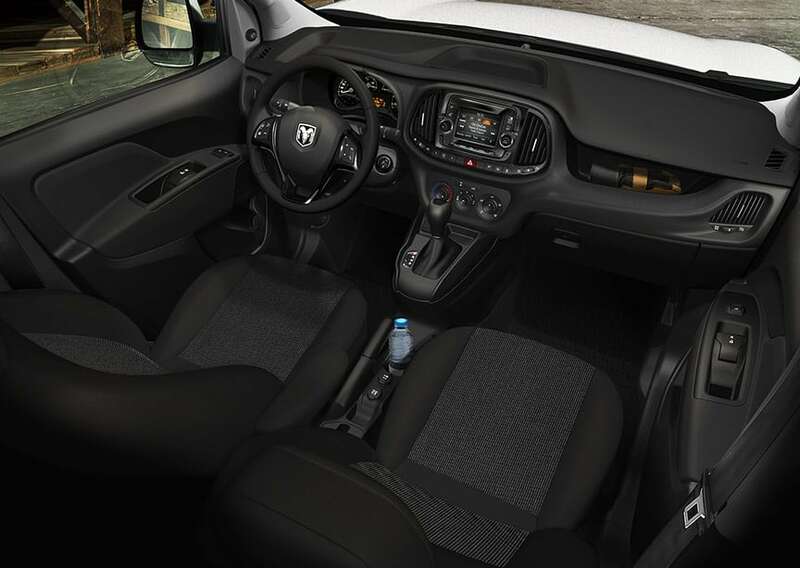 The 2015 Ram ProMaster City is a compact cargo and passenger van. 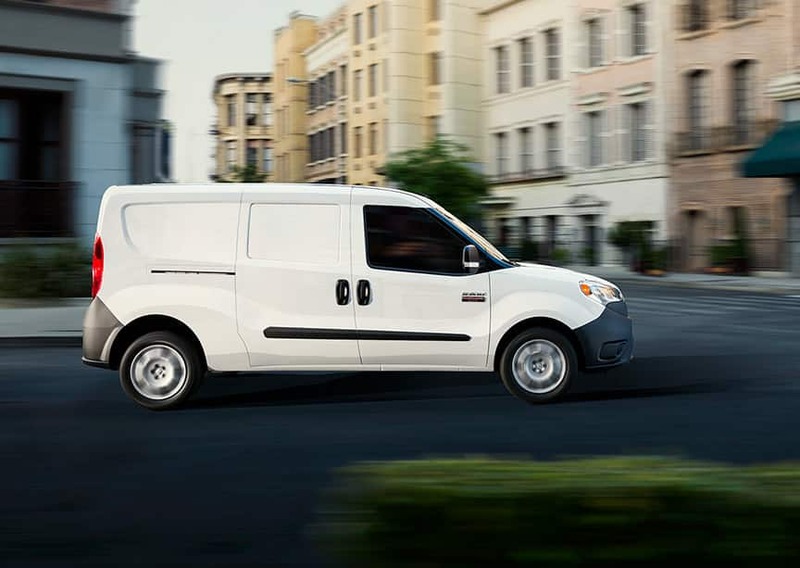 Available in a five-passenger "wagon" version or a two-passenger cargo van, the ProMaster City is a smaller sibling to the Ram ProMaster full-size van that debuted for 2014. Just like its bigger brother, the ProMaster City is based on a successful Fiat van from Europe. The ProMaster City packs power that is provided by the familiar Chrysler Tigershark 2.4-liter 4-cylinder engine, making 178 hp and 174 lb-ft of torque. It comes matched to a 9-speed automatic transmission, with front-wheel drive. Ram says that these vans, unladen, can reach 60 mph in as little as 9.8 seconds, and tow ratings will range up to 2,000 lbs. Fuel economy ratings are an impressive 21 mpg city, 29 highway, and ride and handling are far better than that of traditional cargo vans, as it uses a rear independent bi-link suspension setup. The ProMaster City is roughly the same size on the outside as the other light cargo vans, but it's slightly more maneuverable than all of them. The most impressive stat here, especially for those looking for a work vehicle in the tight confines in the city, is a total turning circle of just 32 ft, some four feet tighter than the other guys. The ProMaster City is surprisingly quiet inside. There's almost no boom or vibration in the big, empty sheet metal box behind you. Thanks to the independent rear suspension, there is less rear axle noise than you'll hear in competitors as you bounce along, and generally less bounce or tire skip, loaded or empty. All told, the ProMaster City might be the most drivable small van of the bunch. Give us a call today if you would like more information on the RAM ProMaster City!